This mode will allow you to rescue data from many medias with almost no interaction. The only thing you have to do is inserting a new media (the CD/DVD drive opens automatically). The program will continue after the new media is inserted. 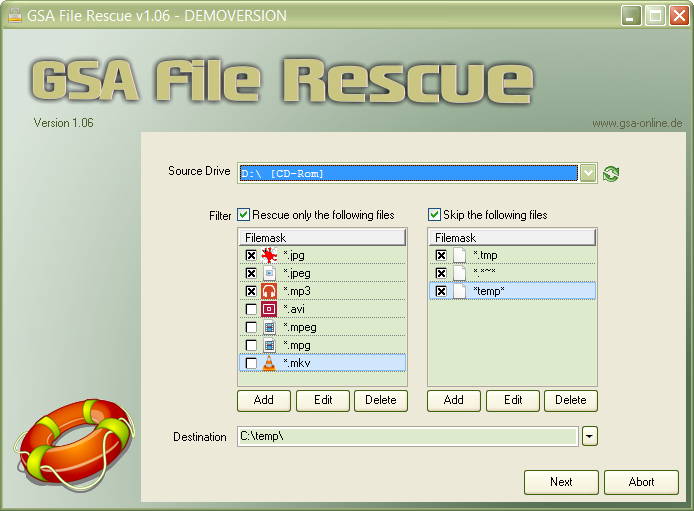 In the dialog as seen above, you just have to tell the program what files to rescue (by default everything).